ICT is embedded and pervasive into our daily lives. The notion of Cyber Physical Systems (CPS) has emerged: embedded computational collaborating devices, capable of controlling physical elements and responding to humans. 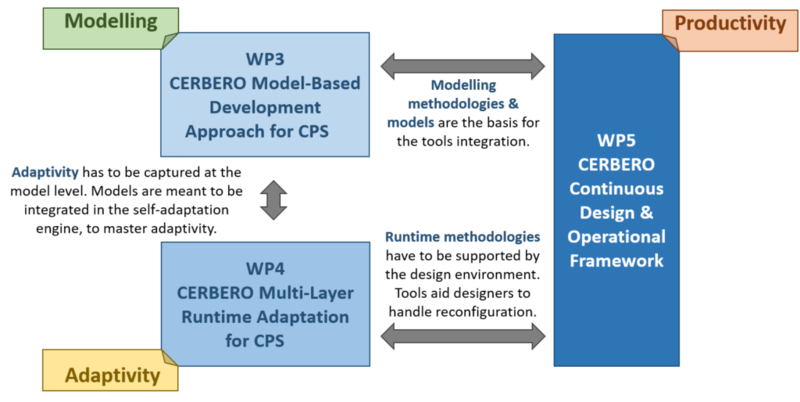 The Cross-layer modEl-based fRamework for multi-oBjective dEsign of Reconfigurable systems in unceRtain hybRid envirOnments (CERBERO) project aims at developing a design environment for CPS based of two pillars: a cross-layer model based approach to describe, optimize, and analyze the system and all its different views concurrently; an advanced adaptivity support based on a multi-layer autonomous engine. 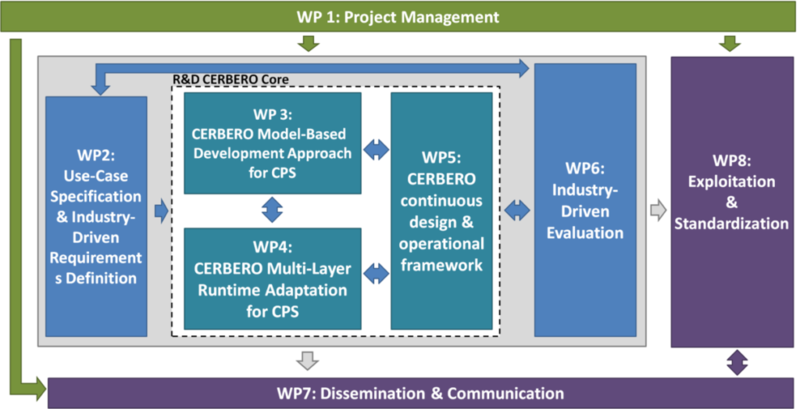 To overcome the limit of current tools, CERBERO provides: libraries of generic Key Performance Indicators for reconfigurable CPSs in hybrid/uncertain environments; novel formal and simulation-based methods; a continuous design environment guaranteeing early-stage analysis and optimization of functional and non-functional requirements, including energy, reliability and security.